A sump pump is an integral tool in many Canadian homes that is designed to transfer excess storm water in your basement to the nearest drainage source. The water enters the pit in your home’s basement, activating the float switch on the sump pump, which triggers the pump at a certain water level. As a result, heavy flooding due to excess rain and melting snow in low-lying areas will not flood your basement with drainage water. This will protect the foundation of your home from water damage and keep your basement dry year-round. The water will then be pumped out of your basement and to the nearest municipal drainage area or overflow pond. Residential and commercial sump pumps are designed in a variety of sizes including 1/3 HP, 1/2 HP, and 3/4 HP to accommodate small homes and large properties. At Brothers Plumbing, we have decades of experience installing sump pumps in homes and commercial buildings, and we will work with you to ensure you get exactly the right pump for your property’s needs. Because of Canada’s high levels of rainfall and snowfall every year and the wealth of natural bodies of water, low-lying Canadian houses are especially susceptible to flooding. This threat makes sump pumps an essential tool for modern Canadian properties. Just like your smoke detectors, heaters, and carbon monoxide detectors need regular maintenance, so does your sump pump. Because this is a mechanical pump submerged underwater, it is sure to wear over time. Common problems that occur in sump pumps include leaks in the hose, failed motors, and rusted metal. These issues can render your sump pump inoperable, especially in an emergency such as flash-flooding or heavy rainfall. It is crucial that you maintain your sump pump, both for safety in a flooding emergency and for your own peace of mind. At Brothers Plumbing, we are happy to help you choose the right sump pump for your home, and we are always available to answer any questions you have about maintaining and repairing your pump. The average lifespan of a sump pump in Canada is approximately 10-15 years. Even with exceptional maintenance and regular repairs, sump pumps simply wear out over time. One of the most common causes of sump pump failure is age. Beyond the common issues discussed above, there are several signs that suggest you need a new sump pump. First, if the sump pump begins making strange noises, it could be the result of rust or other damage to the metal components. As well, rust and electrical failures can cause strange odours to radiate from your sump pump. Finally, if the sump pump runs constantly, it could be a mechanical failure or simply an improper pump, but it definitely needs your attention. Although it is an investment that must be made once every 15 years, the cost of replacing and maintaining your sump pump is worth protecting your home from flooding. With decades of experience installing sump pumps in Ontario homes, we will work with you to maintain, repair, and replace your sump pump. 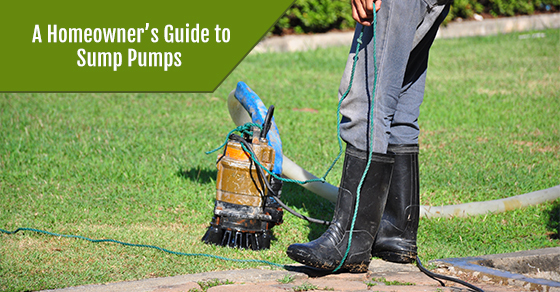 There is one unfortunate flaw regarding sump pumps: they do not run without power. During a severe thunderstorm that causes a power outage, many homes flood with rainwater. When the power is out, the sump pump cannot turn on without an alternate power source, which means you will also have to invest in a battery, generator, or other means of keeping it running. Depending on the size and location of your home, various power options are available, including a system controlled by the pressure in your water system. As well, make sure you have an emergency plan for power outages that includes a kit with all of the necessary tools and gear to get the job done – a flooding emergency is not the time to look for a flashlight or an extension cord. According to this CBC article, roughly half of the $225 million in insurance claims after the Christmas 2013 ice storm in Toronto was due to sump pump failures. As well, water damage claims in Canada have increased by 40% over the last decade. With such a radical increase in flooding and water damage in residential homes, it is your responsibility to ensure your home is safe from flooding. If a sump pump is ideal for your home, it is a small investment to protect your home and your family. However, the increase in flooding claims has led insurance providers to create more complex insurance policies, so it is crucial that you understand your insurance coverage and make a decision based on your own unique needs. Sump pumps are a crucial tool for many homes in Canada. They require proper maintenance and care, but they can protect your home from destructive flooding damage. Brothers Plumbing prides ourselves on our ability to offer our customers affordable sump pumps with quality installation. We will work with you to find the suitable sump pump and a power source for your home, and we offer our customers a 100% satisfaction guarantee for every job. For more information about sump pumps for your home, or to book an appointment with one of our experienced plumbers. Call Brothers Plumbing at 1-800-742-0018 or contact us here.